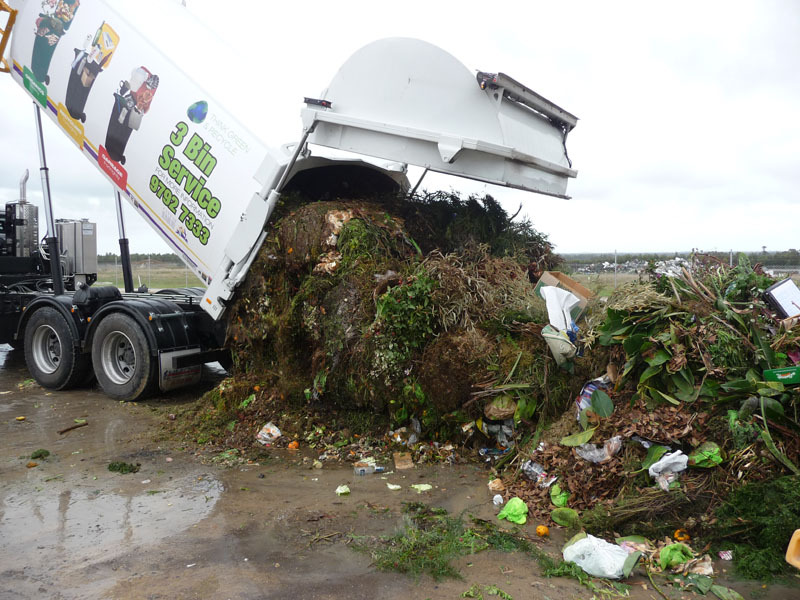 Organic waste from the lime green organics bins (currently operating in the City of Bunbury and the shires of Capel, Collie and Donnybrook-Balingup) is taken to the facility and deposited in large windrows 45m long and 15m wide. 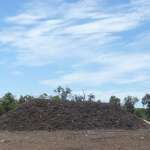 A large proportion of the material collected in bins is high in nitrogen, so mulched greenwaste which is high in carbon, is added to the mix and the composting process begins. 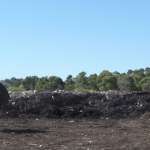 The windrows are aerated to minimise odours and speed up the composting process. 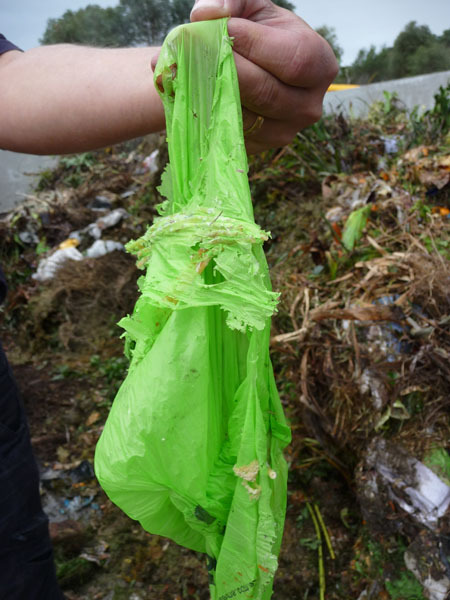 Compostable bags break down quickly once the composting process begins. 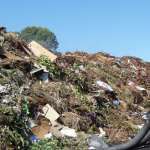 Organic material collected is high in nitrogen. 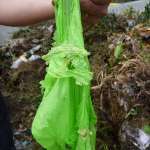 Compostable bags break down quickly. 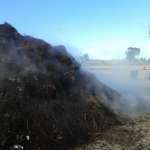 Aerators speed up the composting process. 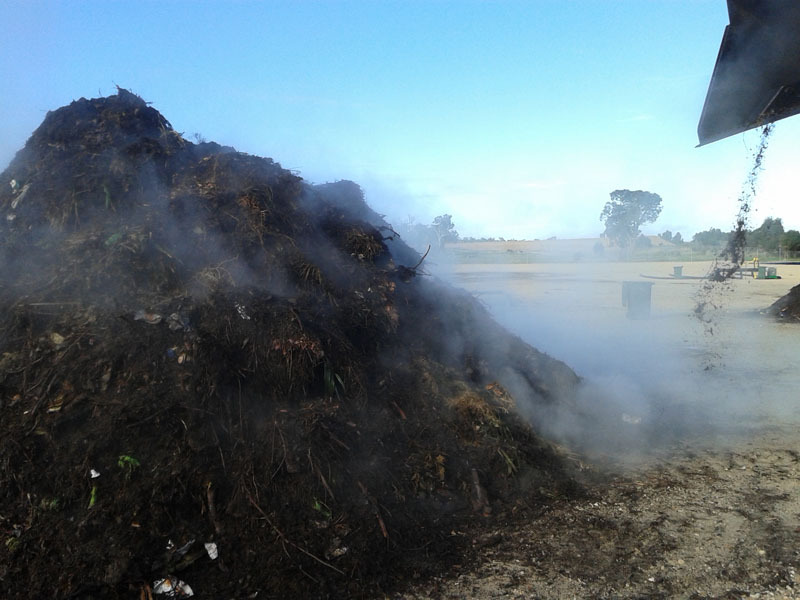 Steam escapes from the compost piles when being turned. After 4-6 weeks the windrows are turned, using a front-end loader, and formed into another windrow that is aerated. 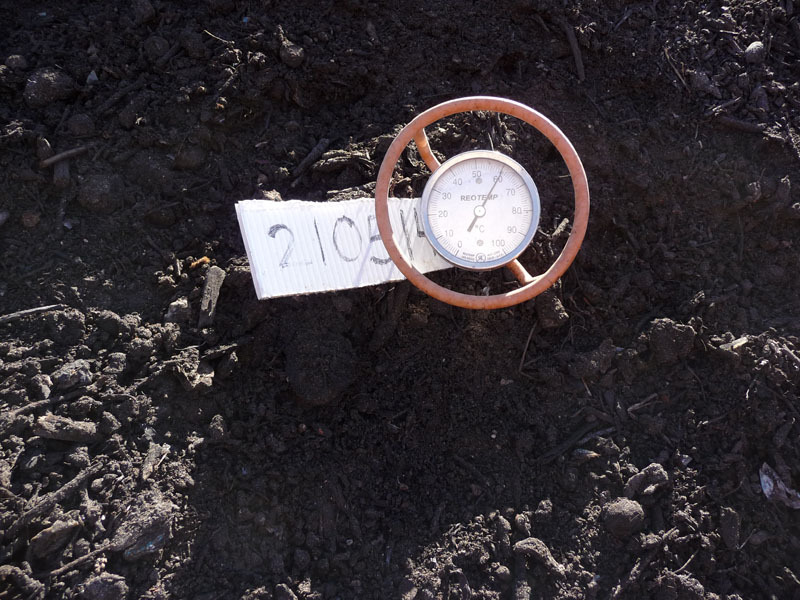 The windrows are monitored for temperature and moisture levels and watered as required. 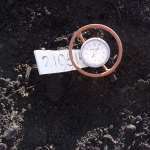 The aeration system is programmed to add air to the windrows at specified timeframes. 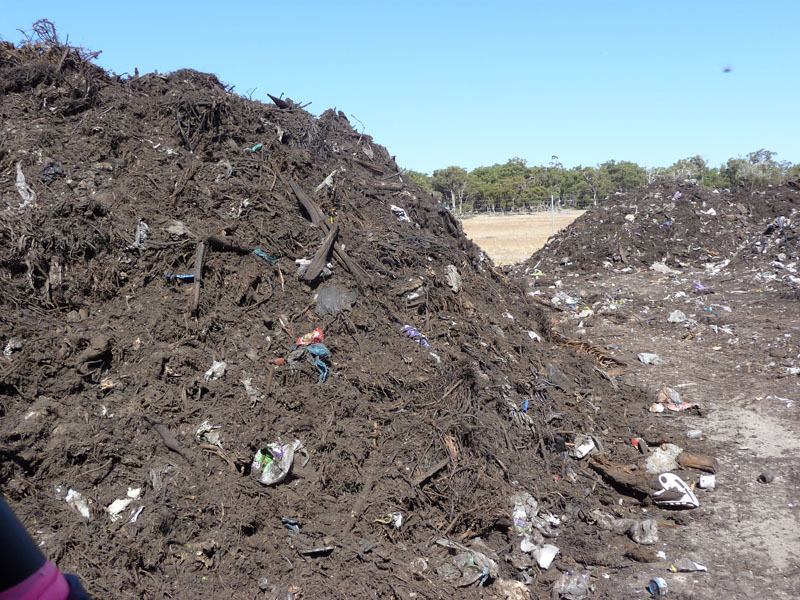 Every 4-6 weeks each windrow is turned to ensure even composting and all parts of the pile are pasteurised. Pasteurisation occurs at temperatures above 55°C. The windrows are turned at least five times and the temperature maintained above 55°C for at least 15 consecutive days to meet pasteurisation requirements. 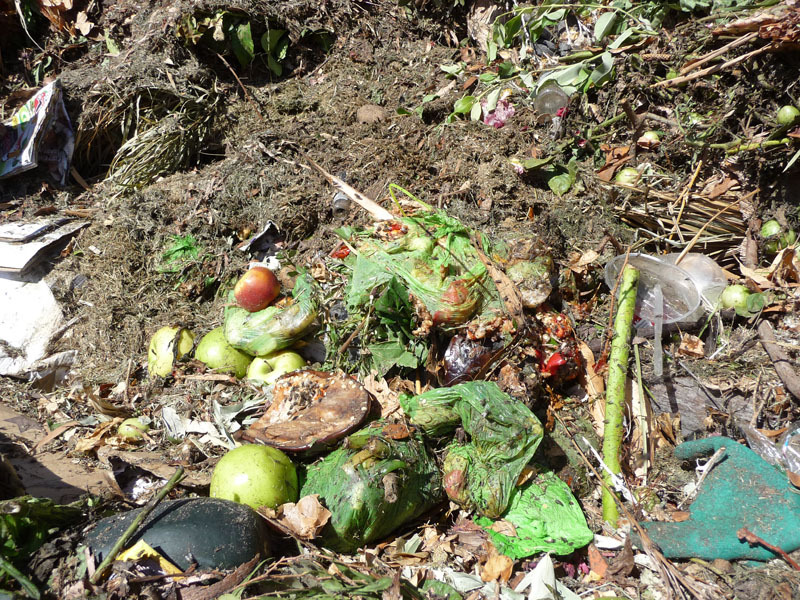 Pasteurisation kills all seeds and pathogens and is one of the most important parts of the composting process. Temperature, time and turning are crucial elements of the pasteurisation process. The first screening removes all particles above 50mm and larger contaminants. 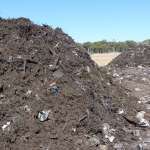 After the piles have been pasteurised and allowed to compost down further they are then screened to remove all materials above 50mm. This process removes the larger contaminants. The pasteurised but partially matured compost is again put into windrows to continue the composting process and reach maturity. 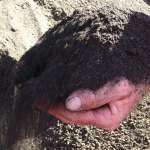 Once the compost is mature it is again screened to remove all particles over 10mm. 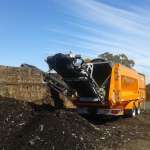 The screened product is put into a bunker and samples are taken to be tested to the Australian Standard (AS4454-2012) for mulches, compost and soil conditioners. 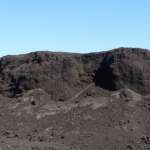 The samples are sent to an independent accredited laboratory for analysis. 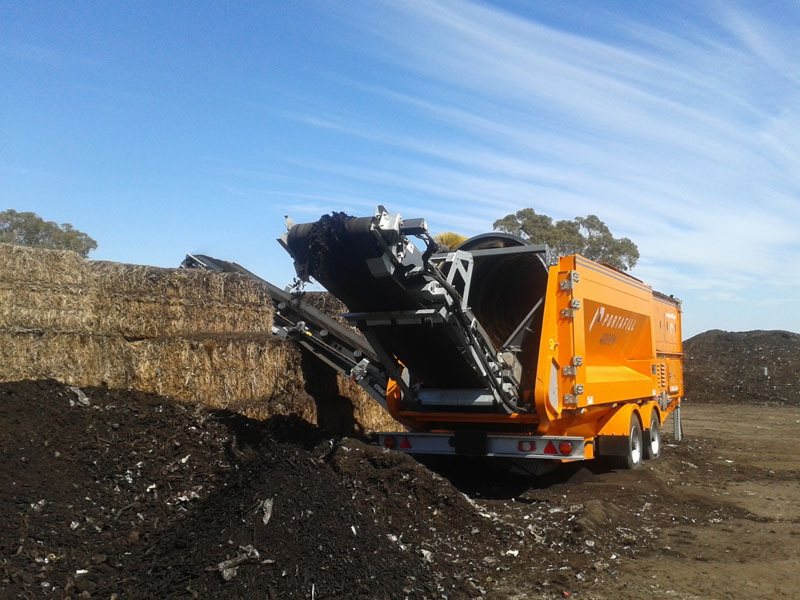 Testing takes 3-4 weeks and lists the chemical, physical and pathological attributes of the compost and the requirements for Australian Standard AS4454-2012. The final product waiting for test results prior to being sold. 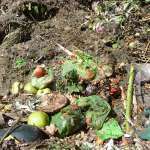 The final product is a rich compost.